Praying Our Way Forward is a movement in response to the Council of Bishops initiative called Praying Our Way Forward. We are called to a posture of prayer, praying for God’s leadership to guide us effectively in fulfilling the mission of the church. We invite you – clergy and laity, conferences and congregations – across the denomination to pray for God’s guidance. In prayer, we can be one in Christ. Go to the UMCprays.org for more inspiration. The Council of Bishops, in partnership with The Upper Room, is launching Phase 3 of Praying our Way Forward. Phase 1 involved 84 members of the Council of Bishops praying for The United Methodist Church’s way forward for 15 minutes daily, from August to December 2016. This was followed by Phase 2, which resulted in 18 continuous months of daily individual and corporate prayer by faithful members of annual conferences around the globe. “Now we are ready to launch Phase 3, which begins June 3 and continues through the Special Session of General Conference in February 2019. In this phase, we are encouraging every United Methodist to fast weekly and to pray daily with the Council of Bishops,” said Bishop Al Gwinn, the Prayer Team Coordinator. Engage in a weekly Wesleyan 24-hour fast from Thursday after dinner to Friday mid-afternoon. Those who have health situations causing food fasts to be unadvisable might consider fasting from social media, emails or another daily activity. Pause and pray for our church’s mission and way forward daily for four minutes from 2:23 through 2:26 a.m. or p.m. in their own time zone OR at another time. This is because the Special Session of General Conference will be held February 23 through February 26, 2019. Pray using a weekly prayer calendar that will be posted on the UMCPrays.org website from June 2, 2018, through the end of February 2019. The calendar will list a unique cluster of names each week. The names will balance United States bishops and delegates with Central Conference bishops and delegates. It will also include General Secretaries, Commission on a Way Forward members, the Commission of the General Conference and the staff of the General Conference. 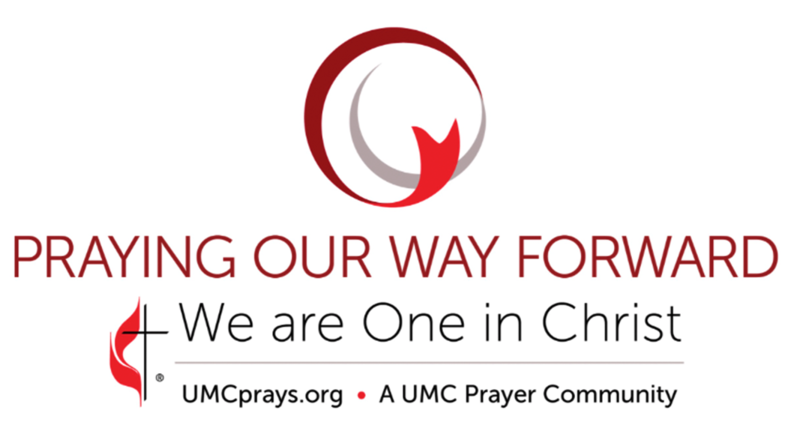 “We urge every Annual Conference to use the video available on the umcprays.org website to promote Phase 3 of Praying Our Way Forward.